Crossfit is a great way to burn the unwanted fat from your body. Take this a step further with Instant Knockout and become a lean, mean fat burning machine! Lean mass is not your only ticket to being the best pound-for-pound, it looks good too. A tight torso, toned arms and a serious road map back is a great way to intimidate the competition and draw eyes from the crowd. It is a great ally when it comes to excelling in body weight and endurance events. Crossfit isn’t just about who can lift the heaviest weight, that’s not even half the battle. Body weight and endurance exercises are just as important. How can you be the ‘fittest person on earth’ if you only specialize in one area? This is where most people struggle – it doesn’t take a genius to realize that the best body type for this sport is always going to reside with the athlete with the least amount of fat and the most amount of muscle. Just look at the physiques of Crossfit athletes around the world. Calculated dieting and regular training will only get you so far – to reach that level of shredded you need a fat burner, such as Instant Knockout. Originally produced for MMA fighters to meet weight class before a fight. The idea was to cut down while still keeping all their muscle mass in tact – and it worked. Well. The fat burner went public in September 2014, and has received rave reviews ever since. The buzz it made in the industry attracted names like Diego Sanchez , John Dodson & top MMA coach Greg Jackson. But fighting isn’t the only sport where being lean is important, many of the benefits the MMA have been getting from Instant Knockout transfer over to Crossfit. More on that later. The great thing about Instant Knockout is that it doesn’t hide any ingredients. It contains no proprietary blends, and you can tell exactly what’s in each serving and how effective it is. The supplement itself is put together in GMP approved facilities. This means everything is regulated and uses only the highest quality ingredients. 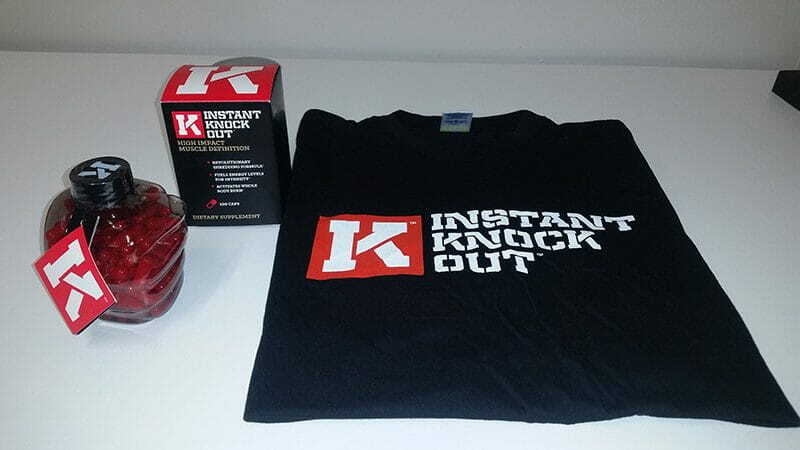 Many of Instant Knockout’s ingredients are some of the highest rated in the industry, which is always pleasing to see. This is where the magic happens. Thermogenics are the nutrients that raise body heat and burn fat. With a raised temperature, our body has to cool down, and to do so uses up calories and burns fat cells. Exactly what you need to shred down. Due to a cleverly organised serving schedule, Instant Knockout can continue this process all day – turning your body into constant fat burning machines, and one step closer to being completely shredded. When you’re on a diet, it can be hard to find the energy to hype up for a lift. This can really effect your training, but Instant Knockout has the answer. With ingredients like caffeine anhydrous and green tea extract, you will be supplied with a generous amount of the nutrients you need to knuckle down and continue lifting at full intensity throughout your cut. Using heavy fibrous components like glucomannan, Instant Knockout swells in the stomach after consumption, increasing how full you feel throughout the day. If you struggle with snacking between meals, this is your best bet to keep on track – guys who do intermittent fasting will find this particularly useful. One of the great thing about Instant Knockout is that it can double up as a pre-workout. It contains a good amount of caffeine anhydrous, which has been proven to improve strength on numerous occasions   and really helps training. You’ll notice more intensity in your workouts and be more capable when it comes to hyping yourself up for lifts, especially those one rep maxes. When on a cut, you don’t take in as much food, and it can be difficult finish your session with the energy and intensity that you’d like. 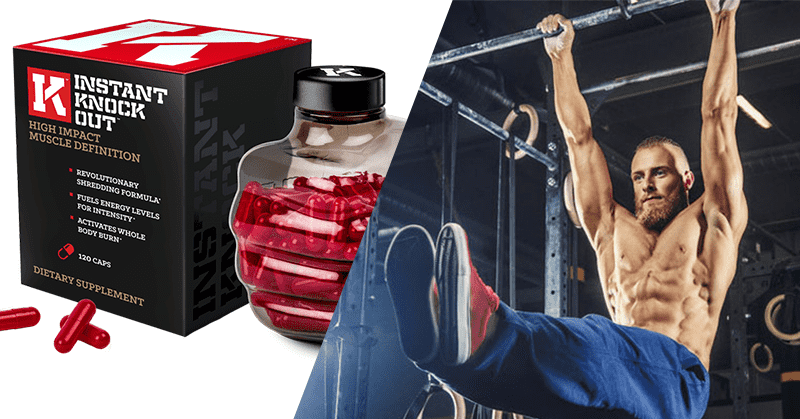 Instant Knockout contains multiple energy and metabolic boosters, this makes up for any missing calories and gives you the energy you need to keep making good lifts as you shred down. If you’re a good lifter but suffer through body weight exercises, this supplement can really help. As you lose body fat and lean up, you become stronger pound for pound. You’ll find yourself more agile when doing body weight exercises like muscle-ups, pull-ups and handstand push-up. With less to carry you’ll also be better at endurance, with better times on running and rope climb events. The cleaner you eat, the better you perform, and the appetite suppressants in Instant Knockout are a sure fire way to keep you on the right track. Things like the glucomannan and the Vitamin B6 in this supp help a lot. Swelling in the stomach, glucomannan reduces the need for more food between meals, whereas the vitamin B6 helps convert glycogen into glucose, which stops the body craving more carbs for energy. What’s great about this fat burner is that it has 4 individual servings of 1 capsule. This ensures that the thermogenic and energy benefits are in effect all throughout the day, and that you are constantly burning fat. The regular supply of nutrients also helps to avoid any crashes that may occur later on, and each top-up keeps your energy levels steady. Due to being produced in GMP approved facility, the ingredients aren’t going to be a problem. The thing you have to worry about is when you take it, as the caffeine can keep you up at night if taken to closely to bedtime. Some of the people that have taken Instant Knockout have had some incredible transformations, and it really shows that this product can work for women just as much as it does men. There are a lot more Testimonials, complete with write ups over on the burner’s website where you will find a lot of inspiring transformations. 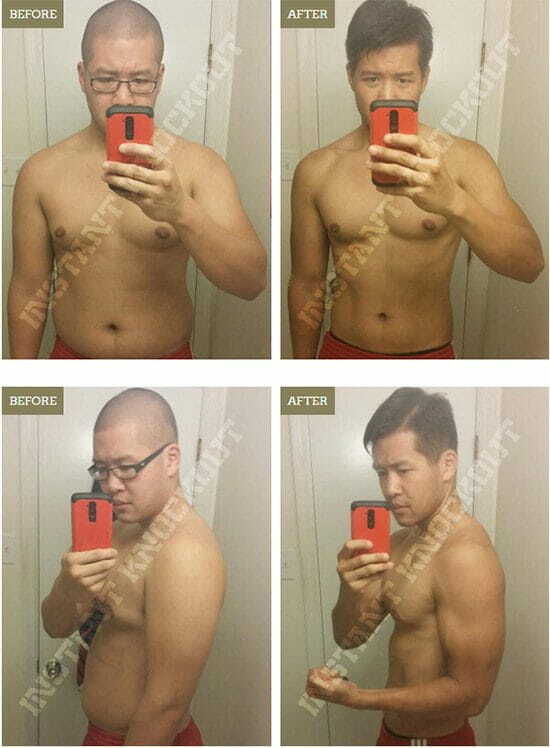 There’s a lot of buzz on forums, review sites and even the occasional Youtube video, and they all seem to have the same positive feedback about this supplement’s results and effectiveness. This is not the kind of product that gets sold on Bodybuilding.com or at your local GNC. 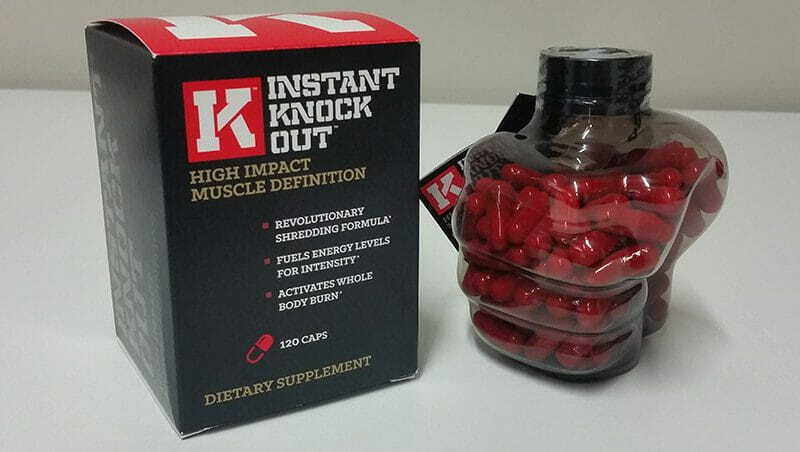 Instant Knockout is a specialist product and can only be purchased from their website, they ship worldwide from both the US and the UK. The standard price is $59.00 but if you decide you want more than a month’s supply, it gets considerably cheaper. The three month package in particular includes an additional bottle of the fat burner and a t-shirt, completely free of charge. If you want to be pound for pound the strongest in your competition, one of the best ways to go about it is to look into Instant Knockout. It supports various processes throughout the body that helps with weight loss, diet control and energy levels. Through multiple daily doses, the body is provided with a constant supply of fat burning nutrients that keeps it constantly pushing towards the physique you strive for. Remember, this is a workout supplement. It’s for people who train and want results to come quicker and easier. It isn’t a magic diet pill. Glaister M, Howatson G, Abraham CS, Lockey RA, Goodwin JE, Foley P, et al. Caffeine supplementation and multiple sprint running performance. Med Sci Sports Exerc. 2008;40:1835–40. doi: 10.1249/MSS.0b013e31817a8ad2.